Shopping is a mixed bag in Vietnam. On the one hand, you have a range of international brands in malls and on popular shopping streets such a Dong Khoi Street in Saigon. Here, haggling is simply impossible. On the other hand, you have street vendors, local shops and markets, where bargaining for a cheaper price is not only customary, but generally expected. So, a large part of the appeal of shopping in Saigon—and, ironically, the frustration—lies in the challenge of purchasing from these stores what you want at the price you think it should be. 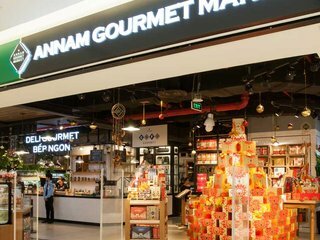 Here are some tips for those living here or coming for travel to save you from a fleecing while buying souvenirs or other goods in Ho Chi Minh City on the cheap. First, as a foreigner you’ll likely be charged 50 percent more than locals on any goods or services throughout the country (this rate may be even higher in Ben Thanh Market, up to a solid 100 percent more). Beware: having a Vietnamese friend with you may help, but the salesperson will generally see through the ruse and overcharge you accordingly. Still, don’t let any strategic advantage go. For example, you can find the price of the product you’re after through friends or online before even leaving the house, and browsing the whole market complex before buying to see if anyone else is selling the same product at a cheaper price. Also, let’s talk about bargaining. Before you ask the shop owner how much that shiny postcard is, mentally decide how much you are willing to pay for it and then offer about a third to half of that amount. The idea is that you will eventually meet in the middle, ending up with a win-win situation. As a last solution to getting the goods for a reasonable amount of money, pretend to leave without buying. This will usually cause the vendor to call you back to agree on your stated price.